It appears Ronnie Fieg is scoring all of the major collaborations and he is showing no signs of slowing down. Previewed by Fieg himself via Instagram, is his latest collaboration with PUMA, titled Sakura. 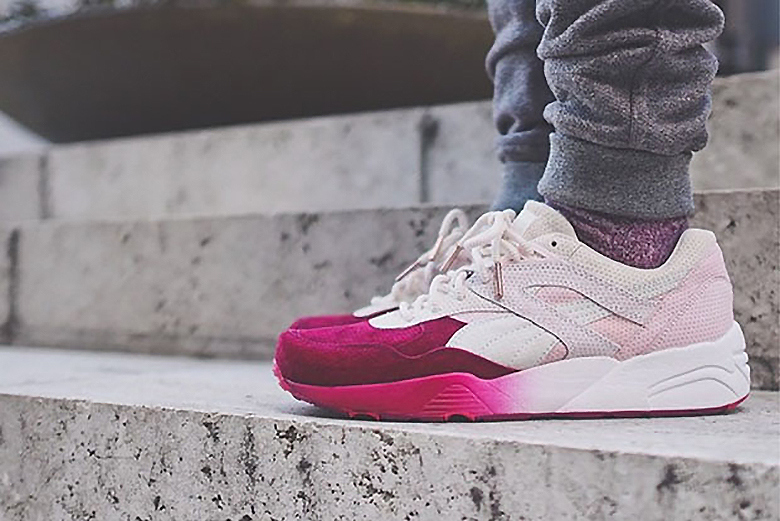 Fieg’s remake of the traditional low-top PUMA R698 sneaker is in honor of the upcoming Sakura Project pop-up shop in Tokyo, Japan. The Sakura Project, lead by the New York based KITH team, is a Japanese endeavor that coincides with both Tokyo Fashion Week and the Sakura Blossom Festival. This pop-up shop is following several pop-ups in Miami, Los Angeles, Sao Paulo, and Paris. Fieg’s final product is a low-top shoe displaying a gradient of fuchsia and other hues of pink to a solid off-white sole. The model flares dotted imprints along the side canvas. Ronnie Fieg x PUMA’s Sakura R698 shoe is slated to release March 20 exclusively at the Sakura Project pop-up shop in Tokyo, Japan.